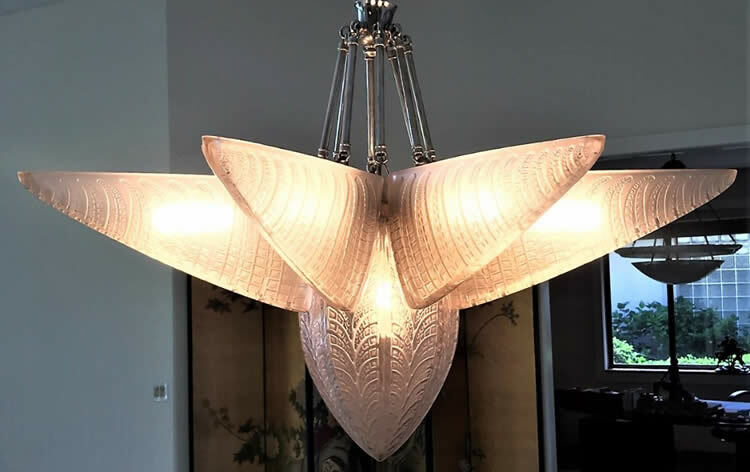 Rene Lalique Chandelier Fougeres: A re-offer from November 19th, 2018. Now Lot 87 Est: $15,000 - $25,000. About 79 cm wide 8 arm fern motif frosted glass R. Lalique Chandelier with later hanging hardware. Lot No. 3 Est: $30,000 - $36,000.